Ski Niseko Japan | Accommodation | Ski & Snowboarding Packages. A Niseko specific holiday specialist that is located in Hirafu all year round with full packages to suit everyone's budget. 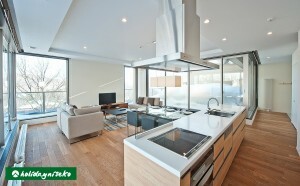 Holiday Niseko provides accommodation as well as private and public transfers from the airport. Also available through them are ski hire and lift tickets to make your holiday a care free and enjoyable experience. The main office is located on the main Hirafu intersection above Beats.